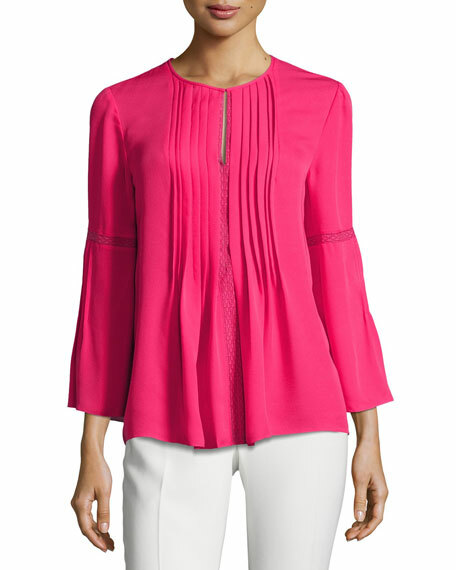 Oscar de la Renta blouse in silk-cotton knit, featuring pleated trim. 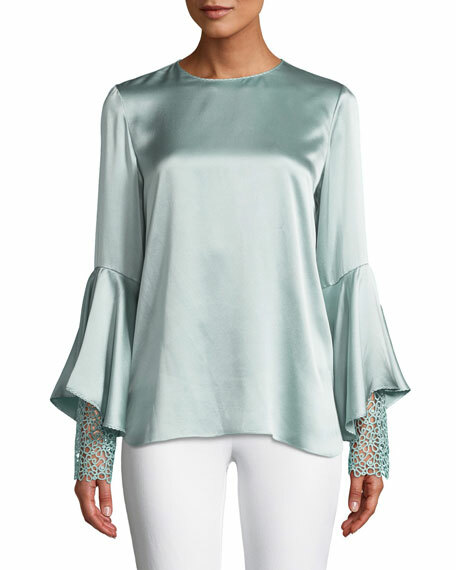 Elie Tahari "Tiff" top in double knit ponte with leather front panel. Approx. 22"L down center back. Crew neckline. Short sleeves. Relaxed fit. Straight hem. Pullover style. 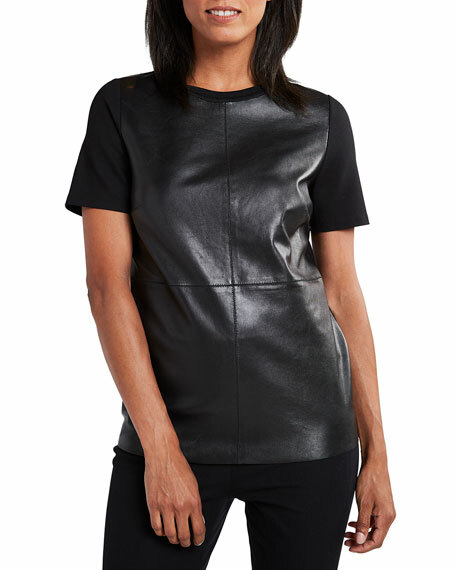 Leather front bodice. Rayon/nylon/spandex knit. 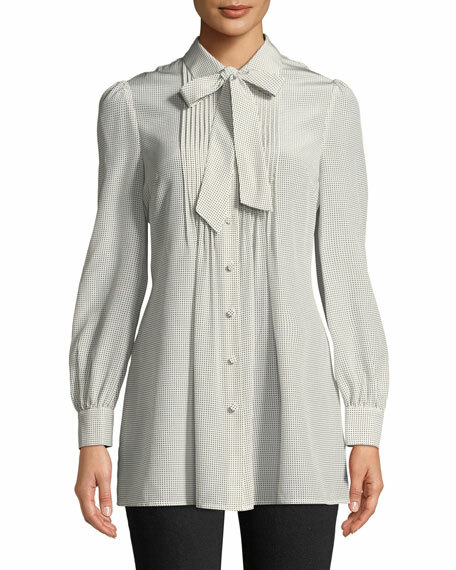 Rayon rib trim. Dry clean. Imported.